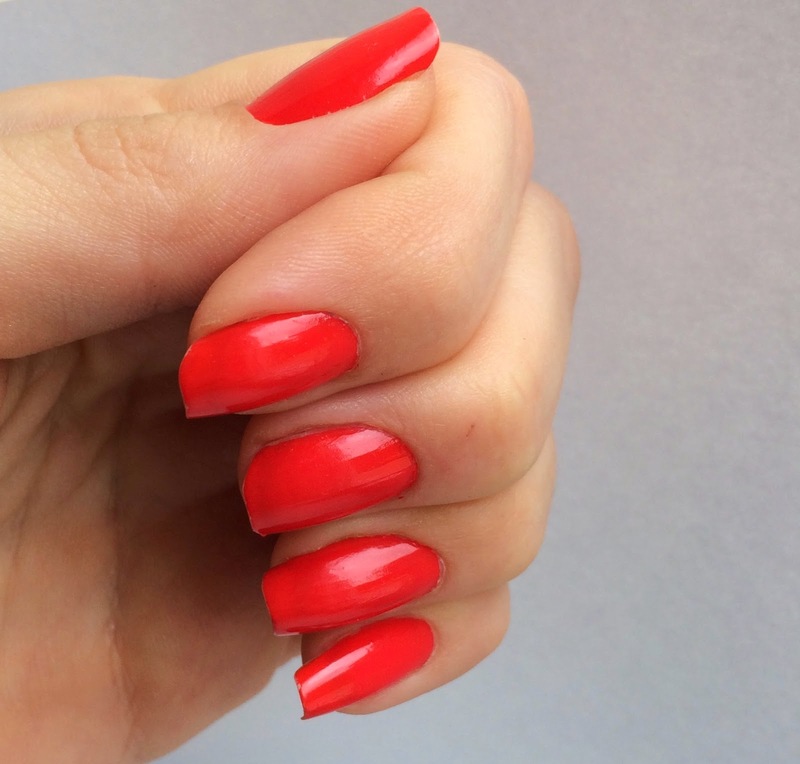 Photo -Jenn- ic: A Gorgeous coral polish and a GIVEAWAY! I was sent a very exciting (and pretty) package with 2 bottles of nail polish for me to try. While this isn't completely strange in the beauty bloggers world, it's rare that that the polishes are identical. But in this case it's 'one for me, and one for (one of) you'. All you have to do is try and guess the brand of the nail polish pictured. If you guess correctly you get the second bottle for yourself. 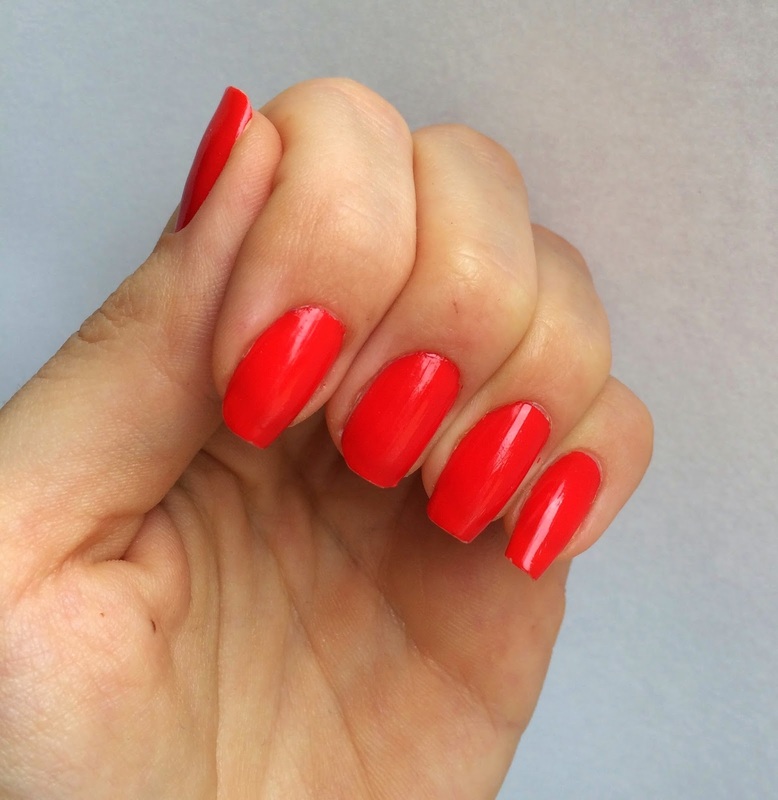 This gorgeous nail polish is a coral bordering on an orange-toned red. Whatever colour you want to call it, I think it's such a great Summer colour. Imagine it on your nails while your hand holds an icy cocktail by a pool ....ah we can all dream! I'm wearing 2 coats in the pictures but I could have got away with just one. If you want to have a go at guessing the brand of the polish follow the instructions below and I'll send the winner a bottle to try out! If there are more than one of you with the correct answer I will draw a name out of a hat and I will contact the winner as well as announcing it on the blog. 3. Twitter name or an email address for me to contact you on if you win. There are more pictures which could give you a few clues over on my instagram too. The closing date is 8th June 2014 and I'm sorry but this is only open to those in the UK. I think this is a really good idea, if a little bit perplexing!